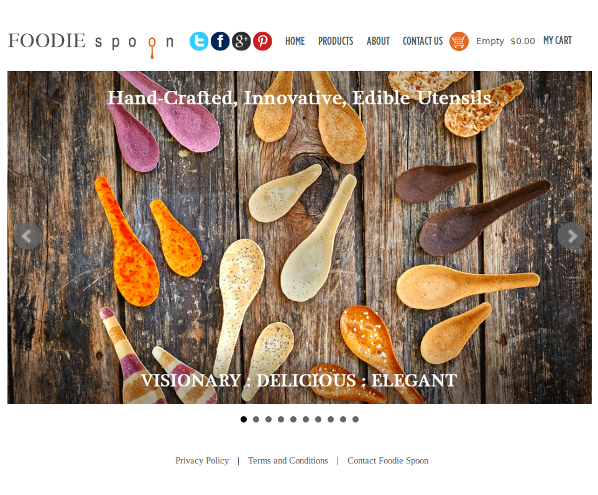 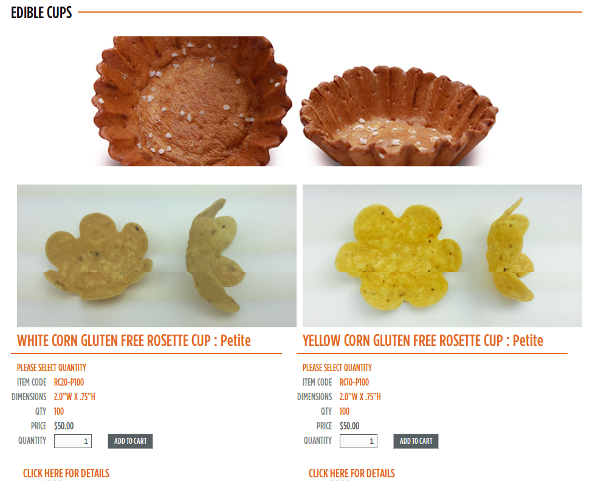 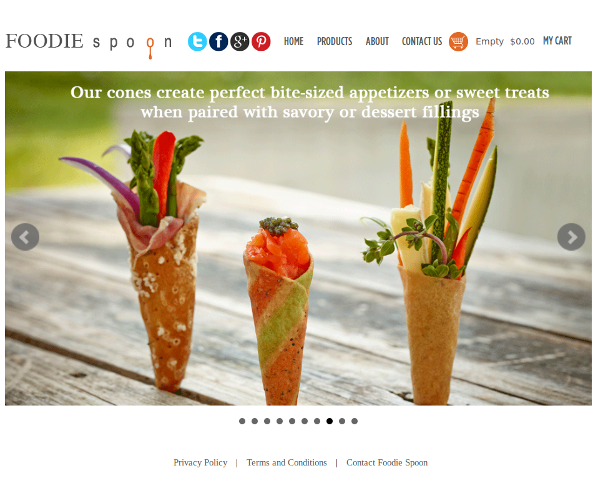 FoodieSpoon is a company dedicated to providing high quality, innovative edible shells in a variety of shapes (spoons, cones, shells) and flavors (both sweet and savory) for use within appetizers and desserts. 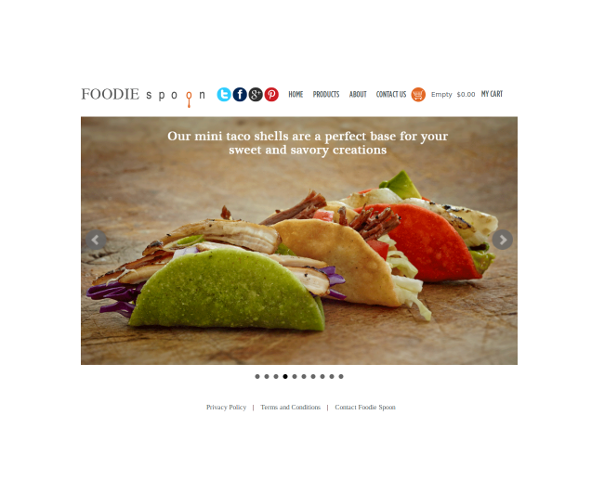 Xplantr have helped them develop their own plain and simple e-commerce website. 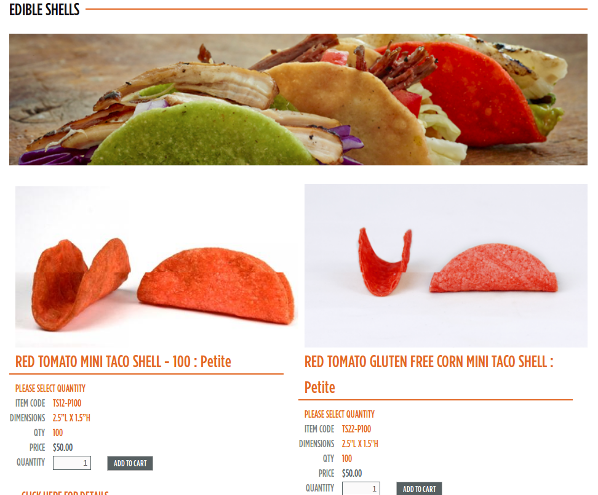 This site contains very basic e-commerce pages, such as, products pages, the cart page, checkout page, order page and a few more.